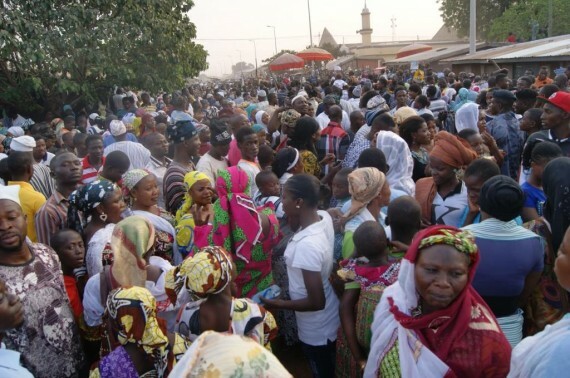 The Damba festival is an ancient celebration of the Dagamba of Northern Ghana and brought along from Zamfara in the North of Nigeria into Dagbon in the first quarter of the 18th Century during the rign of Naa Zangina. Festivities take place on the 11th, 17th and 18th days of the Damba month (moon) ie the third month of the Dagbamba calendar (lunan in calendar). 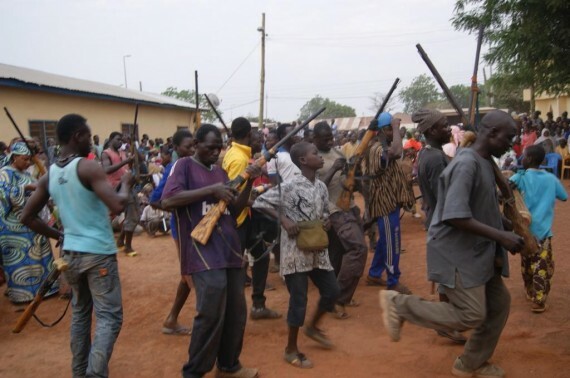 Damba is the most important or widely celebrated festival of the Dagombas/Dagbamba, which has spread to other stratified northern societies such as Mamprusis, Nanumbas and Gonjas – and also to the Walas in the Upper West region, which is called “Dumba”. The origin of Damba as a festival and dance form is not certain. To some, it was instituted in commemoration of the birth and naming of Prophet Mohammed (PBUH). However, to most people, this claim is contrary to many known facts about the festival and the Dagbamba people. The name of the month Damba is according to the Dagbamba calendar and not the Islamic calendar – it means it’s over 500 years since the beginning of Dagban Kingdom. 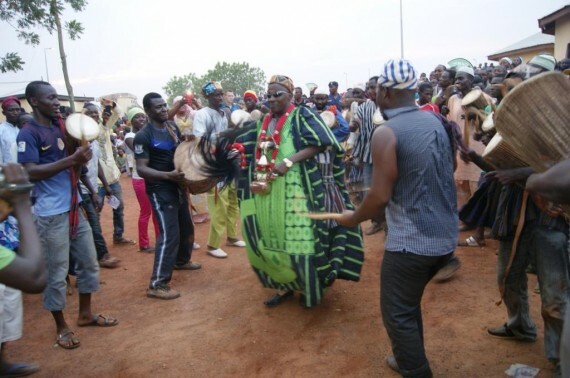 Also the name Damba is given to a very popular dance for the Dagomba/Dagbamba royalty that almost certainly predates the introduction of Islam into the Kingdom. Again, both the festival and dance are essentially ritual in character. The only seemingly religious parts of the festival relate to the slaughtering of animals on the 11th and 17th days of the month, which are said to be the dates of the birth and naming of the Prophet (Issah Red). One can therefore say that it is a blend of Dagbon and Islamic elements – a duality of cultures. The festival is the occasion for most people to purchase new clothes and gifts, as everyone wants to be dressed as beautifully as he or she can be. (Aljahi Musah Adam). The males dress in colourful, hand woven smocks that are designed for dancing while women wear traditional hand woven cloth wrapped around their waists and expensive jewelry. It is also the occasion for feasting, exchanging gifts, shooting of muskets and display of warrior dance and war exploits or mimicry of war motifs. It also serves as training grounds for the youth and eventual display of bravery and splendor (Madam Fuseini Wumbei). There is a display of horsemanship skills while people celebrate chieftaincy. Indeed, Chiefs show themselves to the people in beautiful regalia through solemn processions. People troop into the festival grounds or palaces to shower praises, show respect, dance, entertain, show sympathies, love, accord respect and to show off their finery while listening to oral history as praise singers sing to the paramount chiefs or king and subjects. 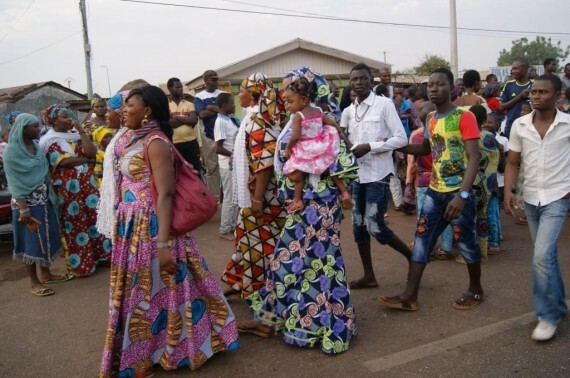 For the first ten days or nights after the appearance of of the new crescent (moon) of Damba month (on the Dagbon calendar), young people gather at the chief’s palace for dance rehearsals. They are called to the palace by the beating of drums every night. This is an opportunity for young people to practice their dance forms from the elders. During this time, women may also gather to sing praises to the chiefs – for their exploits, enticement and bravery at the palace for ten nights (Fuseina Wumbei). On the 11th day of Damba, the second part of the festival takes place. In the morning, the Muslim chiefs and their disciples come to the palace where a bull is slaughtered according Islamic ritual. Those present form a circle around the bull and walk or jump over it three times. During this exercise verses of the Holy Quran are recited. The bull is slaughtered and the meat is distributed for feasting (Alhaji Von Salifu). The Chief does not appear in the morning. However, the ceremonies are directed by a state elder in charge of Damba festival/festivities (Somo Damba) for this day. Late in the afternoon, people gather at the palace in response to drumming. 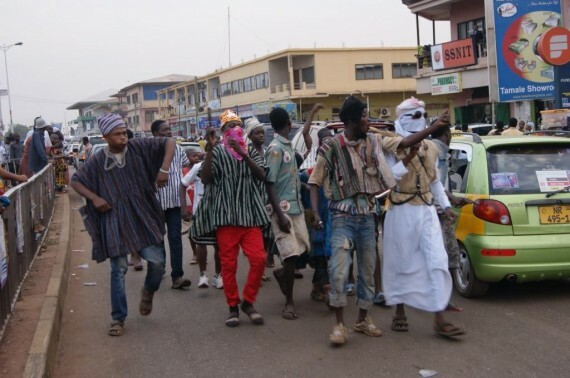 The chief (King/Ya-Naa) is led out by his elders after a sizable crowd has gathered. He walks very slowly as the musketeers fire their weapons while praise singers sing appellations. The chief sits on a pile of animal skin covered with beautiful oriented rugs (fithes) also known as skins in Dagbon. (Chief Von Salifu). Everyone must approach the chief for permission to dance while the chief provides money for the drummers and gonje (stringed musical instrument) players. Once someone is on the dance floor, the audience donates or shower money and calculated praises at the dancers and musicians. The Chief is the last to dance and he exists in the same manner as he entered thus bringing to an end the activities for the evening on the 11th day of Damba. On the 17th, the Naa (chiefs Damba) is celebrated. It is the most important of the festival days characterized by dancing and chiefly processions like that of the evening. (Imam Mole Sibido). Everyone tries to make it grand in Naa Damba, which includes feasting and acts of homage and excitement. It is also celebrated like that of the 11th with rice picking in the morning and dance in the evening. The 18th day is the farewell Damba, which is known as Belkusi. 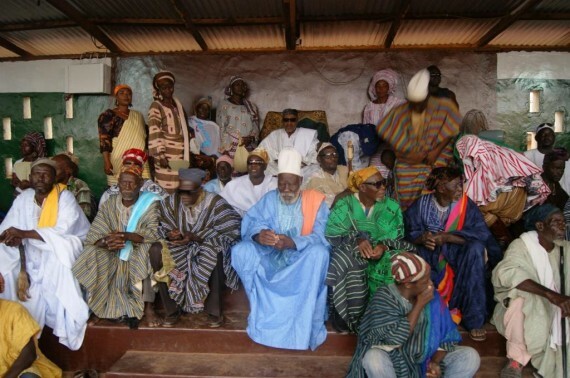 The highest-ranking sub chief will lead other low sectional chiefs and elders to thank the sectional chiefs leading to the climax where the people, chiefs and others assemble at the palace of the Yaa Naa or chief of the town. 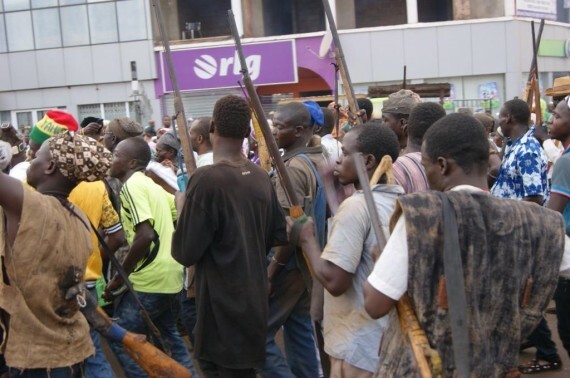 They will move from house to house to greet the sectional chiefs and mobilize the people on issues such as peace, development, fund raising and resource mobilization among others. Politicians, NGOs, Companies and wealthy individuals are approached for support. At the durbar grounds, most of the chiefs and the affluent in society ride on horses to display their culture, values, and heritage for admiration, tourism, education and advocacy. They display horse riding and dance skills while the farewell and thanksgiving continue into the night. 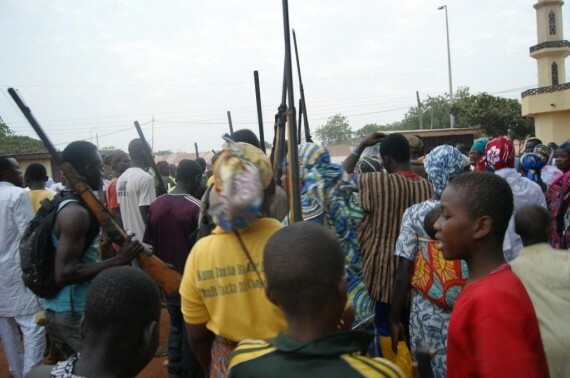 Balogu, chief of Yendi is the last to be thanked while Zohi Naa is the first to be thanked. Thus, the Damba at Yendi, the seat of the Ya-Naa is elegant (Laggard Issah). The historical and cultural heritage is on display for general education of the public, tourism and entertainment. It is worthy to mention that there is Night Damba on the 11th and the 17th day of celebrations at the Chief’s palace. Chiefs, elders, drummers and the people assemble by 12.00 noon and dance till daybreak. During the night, women sing praises to the chiefs in Dagbon while drumming and dancing continue till daybreak. 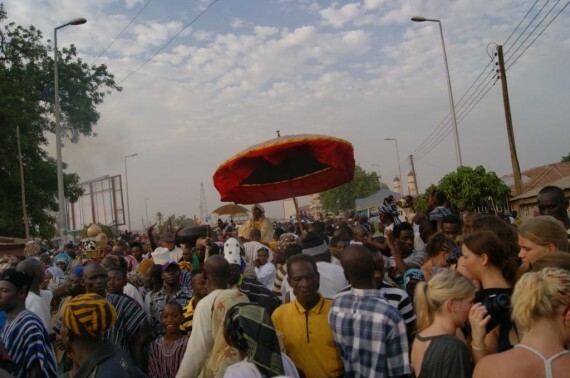 Damba festival is in effect a thanksgiving festival and a time for families to meet, and socialize. It is also for auditing and evaluating the past and planning for the future. This is the period the Dagbamba who reside outside Dagbon travel home for the festivities.